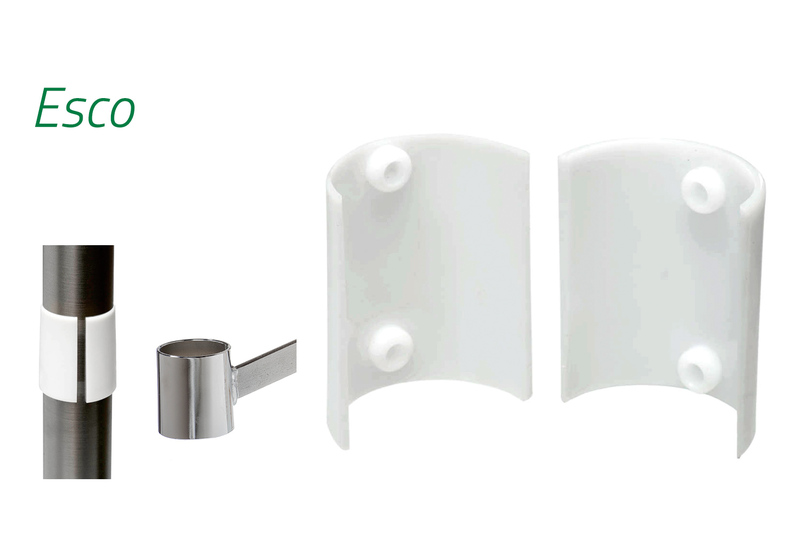 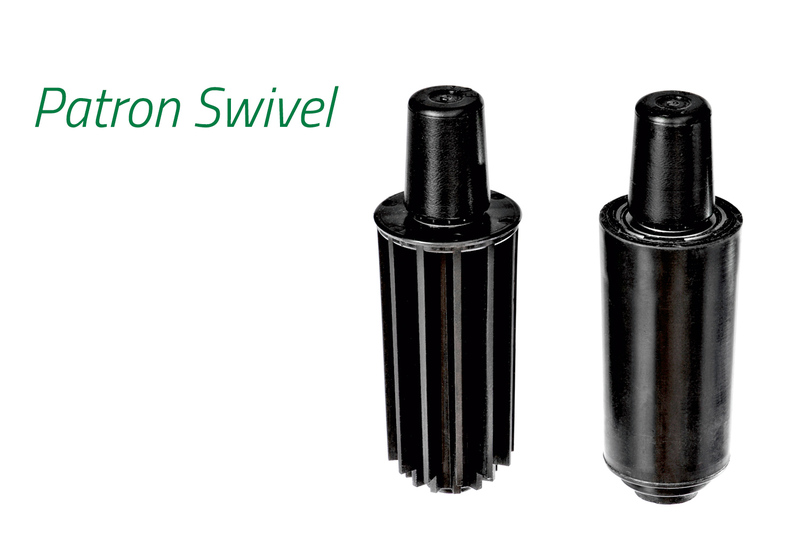 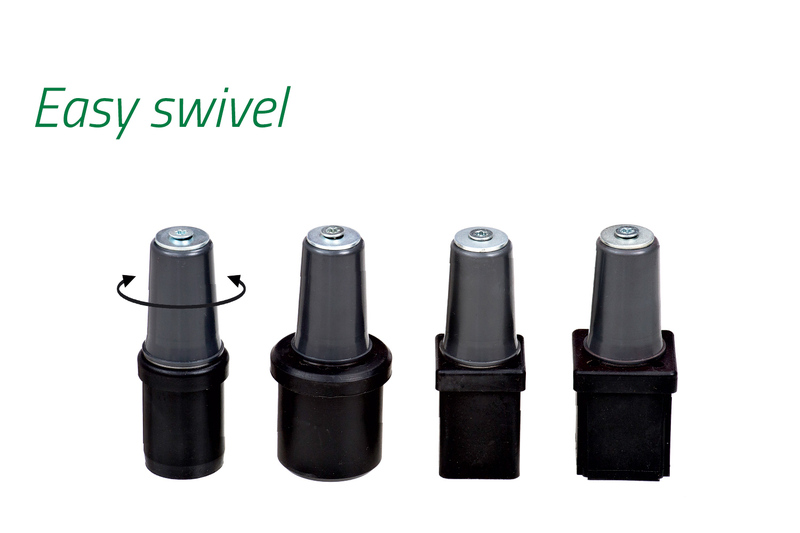 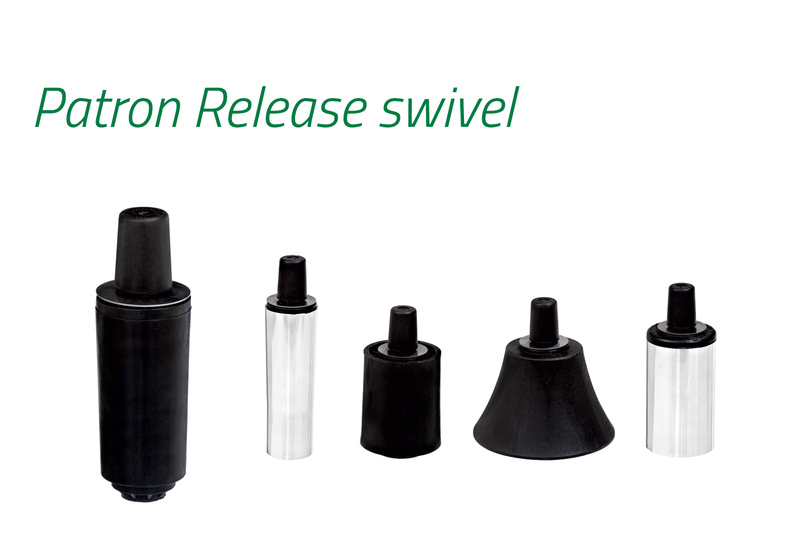 Swivel available with automatic return mechanism, adaptable for conical metal tubes Ø50.0-50.8mm and Ø44.5mm. 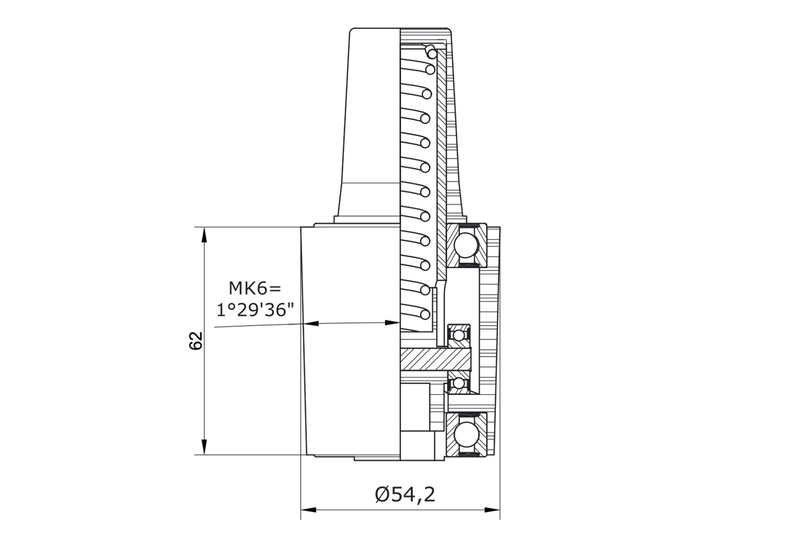 1b: Swivel to be assembled upside down in a metal pipe Ø44.5mm (t=2mm). 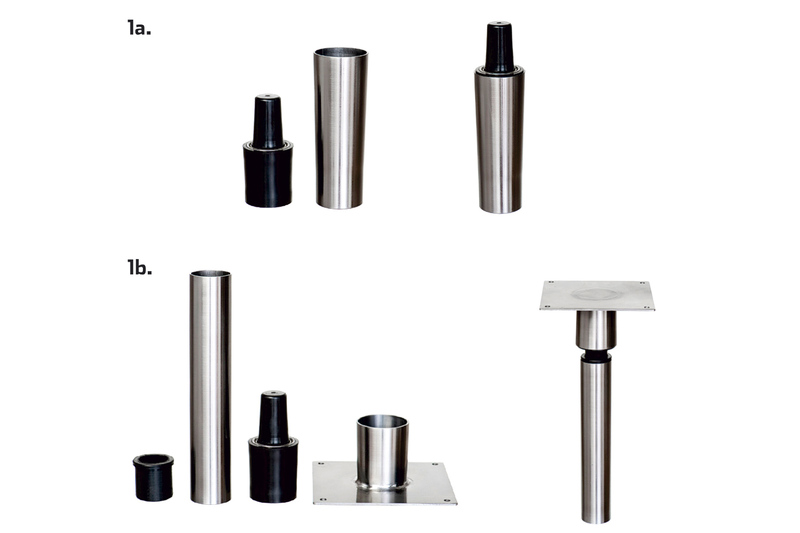 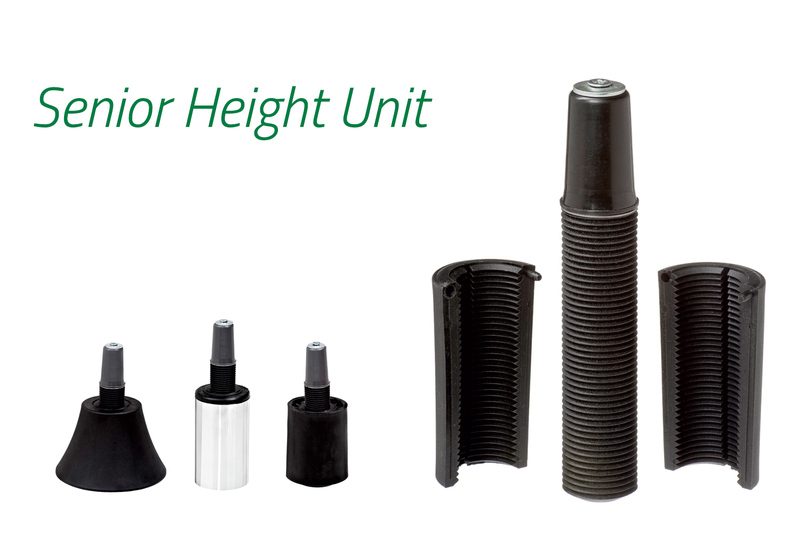 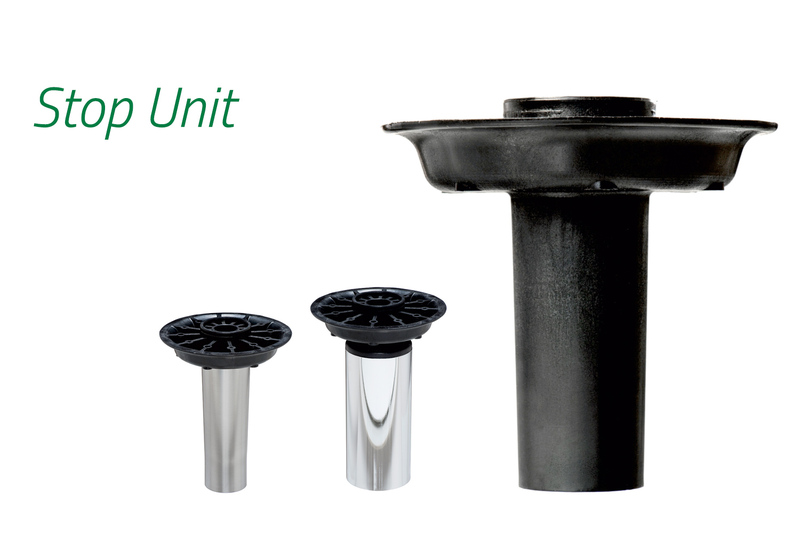 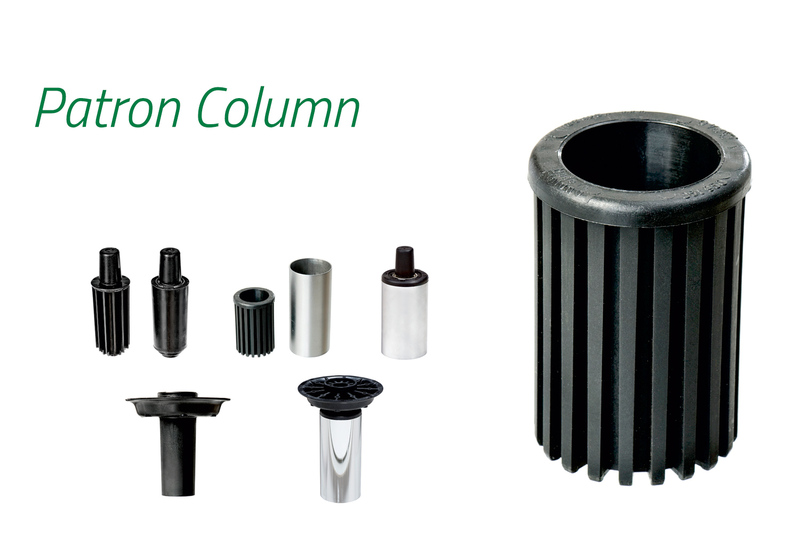 Female Bushing (Eurocone or GAScone) needed, see page 31 Technical Details!